A recent IHS ANPR report highlights the importance of privacy and unification with other security systems. Genetec has become one of the world’s leading and fastest-growing providers of automatic number plate recognition (ANPR) technology, according to a recently released report by IHS Markit. According to the report (“ANPR and Detector Sensors Report – 2018”), Genetec has now become a top-5 global provider of ANPR technology for surveillance applications (which includes ANPR for access control, travel time information, parking time management, tolling and law enforcement), climbing from 10th place in 2016 to 4th place in the $453 million market. In the Americas region—a market estimated to be worth $196.4 million in 2018 for all ANPR solutions—Genetec has jumped to second place with a 9.1 percent market share (moving from 7th place in 2016). This includes both sales of enforcement ANPR technology (for red light, speed and bus lane enforcement applications) and ANPR technology for surveillance. Genetec also gained the most share of the market for ANPR surveillance equipment in the Americas, climbing to second position with an 11.5% market share of this $154.3 million industry. “Over the last few years, Genetec has put a lot of effort into growing its global ANPR business through substantial R&D investment and in increased commercial focus. This has resulted in our Security Center AutoVu™ system becoming one of the most advanced ANPR solutions on the market,” said Stephan Kaiser, general manager, AutoVu at Genetec. “The global market revenues from sales of intelligent ANPR devices are forecast to reach $800 million by 2022 and increase at a compound annual growth rate (CAGR) of 16.4 percent. Some of the key factors that will affect market growth include the need for increased privacy and strong data protection and an increased demand for ANPR solutions that integrate with access control technology,” said Anna Sliwon research analyst at IHS. Genetec is reportedly poised to meet these market challenges. The company takes privacy seriously and follows Privacy-by-design principles, an engineering approach that calls for privacy to be taken into account throughout the whole engineering process. Security Center AutoVu™ is designed to help end users enforce local privacy laws as a default, helping protect the identities of all monitored vehicles and persons in live and recorded video—with data being immediately encrypted or deleted, as mandated by law. 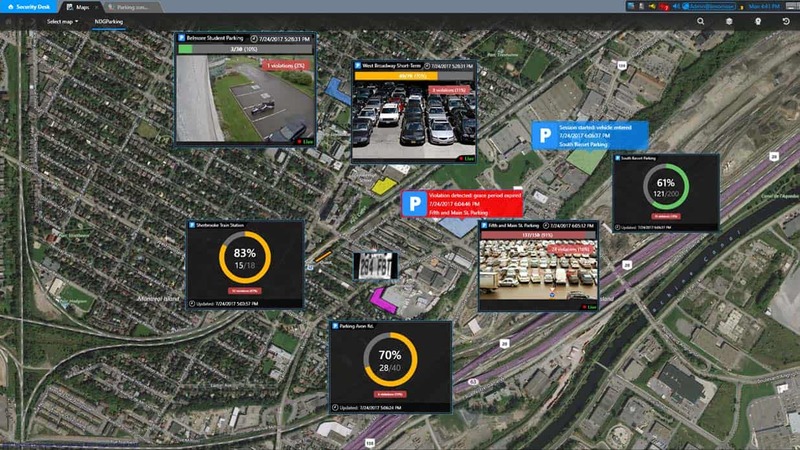 Security Center AutoVu is also designed to be used as part of a unified security system including access control and video surveillance, allowing customer to use ANPR events to trigger actions and alarms across their entire security system. The Security Center platform allows them to investigate events across systems and provides valuable reporting capabilities. According to IHS Markit (2017 Video Surveillance Market Share Database, 2017 Access Control Intelligence Database, and 2018 ANPR & Detection Sensors Report), Genetec is the only security and public safety solutions developer to hold a top-10 global rankings across all physical security industry sectors, including video management software (VMS), access control software, and automatic license plate recognition (ALPR) software. For more information, visit https://resources.genetec.com/product-booklets/en-genetec-autovu-ip-license-plate-recognition.